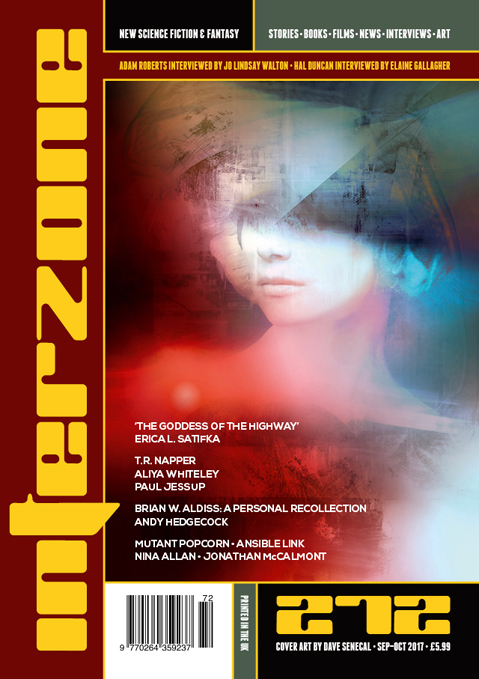 "Blessings Erupt," by Aliya Whiteley [bio] (edited by Andy Cox), appeared in Interzone issue 272, published on September 15, 2017 by TTA Press. Pro: Hope passes away, but Arama will take her place. Con: There’s not much of a plot here. Hope is dying and doesn’t even realize it until someone tells her. She makes some effort to save Arama from her fate, but Arama can plainly see what she’s getting into. The fantasy element seems an awful lot like bad science.